BENNINGTON, Ind. -- A camp counselor called 911 at 2:21 a.m. Tuesday to get help after a tree fell onto a cabin at Camp Livingston , a summertime getaway for Jewish kids from all over the Midwest. Listen to the call in the player below. Emergency services arrived just after the accident, but Jadyn Larky, an 11-year-old girl from Columbus, Ohio, didn't survive her injuries. She was pronounced dead on the scene , the Switerzland County Sheriff's Department said. The counselor tells the dispatcher that three 10- to 12-year-old girls were still in the cabin, possibly under beds in the part of the cabin crushed by an enormous tree. She says one counselor was inside looking for the girls. Eight other young girls had escaped with her and a third counselor to their storm shelter, a bathroom near the cabin. 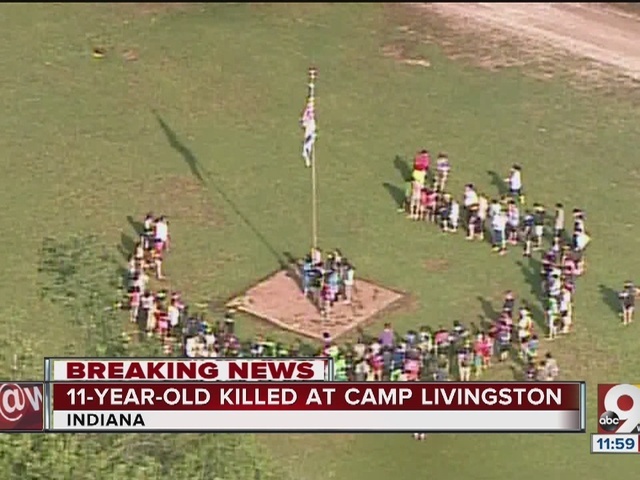 A team of grief counselors from Cincinnati were called to assist campers and staff. 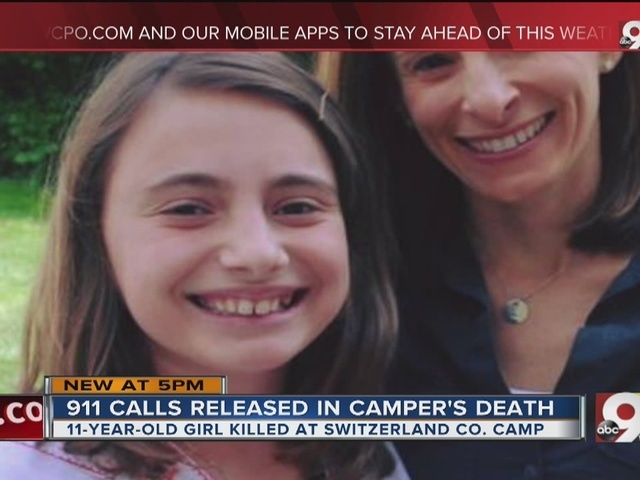 Every child in camp also called home Tuesday to talk with their parents about the tragedy. 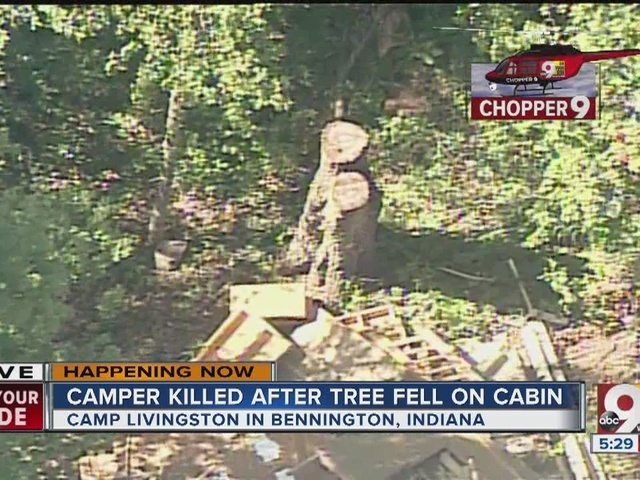 Watch aerial footage of the storm's destruction at Camp Livingston in the player below.